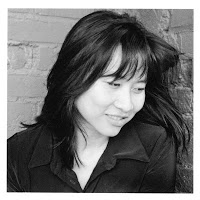 TeachingBooks.net is delighted to welcome award-winning author Thanhha Lai as our featured guest blogger. Each month, we ask one distinguished author or illustrator to write an original post that reveals insights about their process and craft. Enjoy! I do not consider myself a poet. I do read plenty of poetry but am trained in prose. After all, I started my writing life as a journalist, on the police beat. Very little time was devoted to crafting just the right phrase; mostly I was panicking to make deadline. Inside Out & Back Again (Harper, 2011) began life decades ago when I was still chasing down robberies and murders. I wrote it in the voice of a reporter: third person, impersonal, outside observer. That attempt crashed because the characters never rose above the depth of a newspaper article. Then I started reading Gabriel Garcia Márquez and my fingertips tapped out imitations of his twisty, fluid sentences: third person, hyperboles, nonjudgmental, magical. What worked perfectly for Marquez’s characters did nothing for mine. They were still too distant. Years passed. I tried every voice from omniscient third to close third to first person to second person. Disgusted, I stopped writing. Then one day I was on a playground and it brought back intense memories of how I felt as a child on the school playground in Alabama. Furious, indignant, embarrassed, lonely. These feelings form themselves into phrases exploding with images. A typical Vietnam War image. This is how Hà’s classmates in Alabama imagine her homeland. Instead of: she was a lonely newcomer to a land filled with trees she couldn’t name and food she couldn’t eat, hiding in the bathroom and wishing to go home. I was thinking: anger whipping like flames, raw scars, salt in shape of tears, not thick finger red boiled meat, but sweet, orange flesh of ripe papaya, tender like a late-night chant. 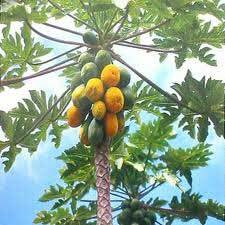 A papaya tree, where each fruit clings to the trunk like each piglet to its mother. Right then I knew I had found the voice of a 10-year-old girl who was yanked out of her beloved home and replanted in an alien land called Alabama. She would be thinking in Vietnamese because when the story opens she has not learned English. That’s why none of the thousands of sentences I had written before rang true. When she thinks in Vietnamese, every word springs forth from images and condenses into quick, sharp phrases that capture vivid emotions. Vietnamese is a naturally lyrical, rhythmic language influenced by Chinese, which is written in characters not letters, thus lending itself to visual expressions. This is how Hà remembers her home. Writing in English but thinking in Vietnamese, I thought I had invented a new format, only to find out later it’s called prose poems and has been around since forever. 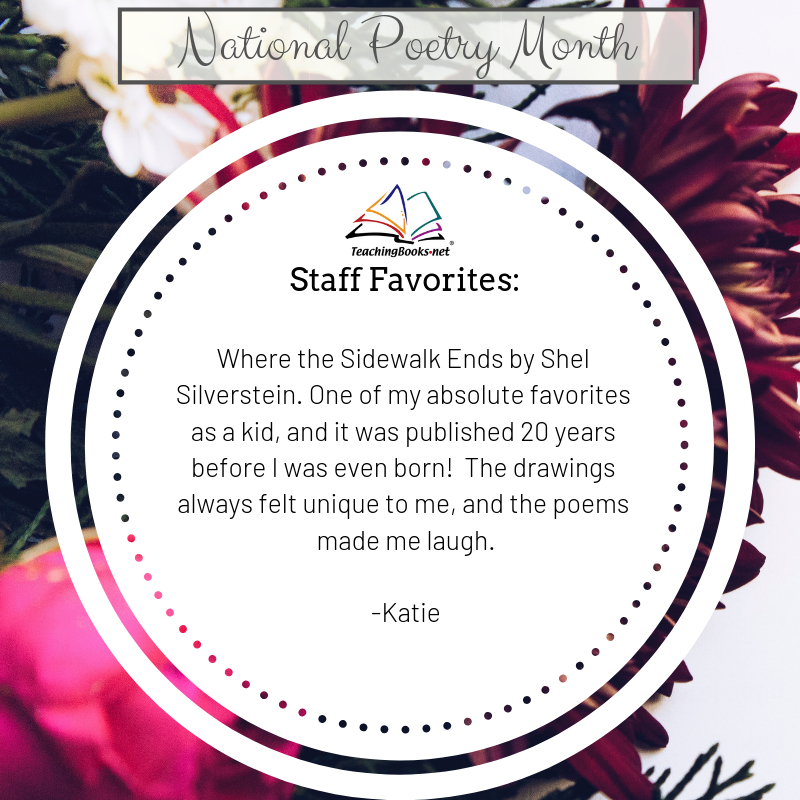 I’m thrilled to have stumbled into the company of other prose poets. This material may not be used without the express written consent of Thanhha Lai. All images courtesy of Thanhha Lai. 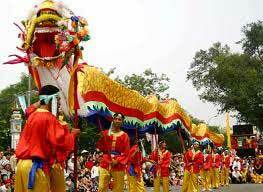 See all online resources for Thanhha Lai. This is a clear and beautiful discription of your process and a window into how words and images evoke both perspective and understanding. I am so looking forward to your visit to Sandy Spring Friends School in the fall. A close friend came to the US during the fall of Saigon. I read your book and loved it so much that I then bought it for him to give to his daughter. She lives in the deep south as well. 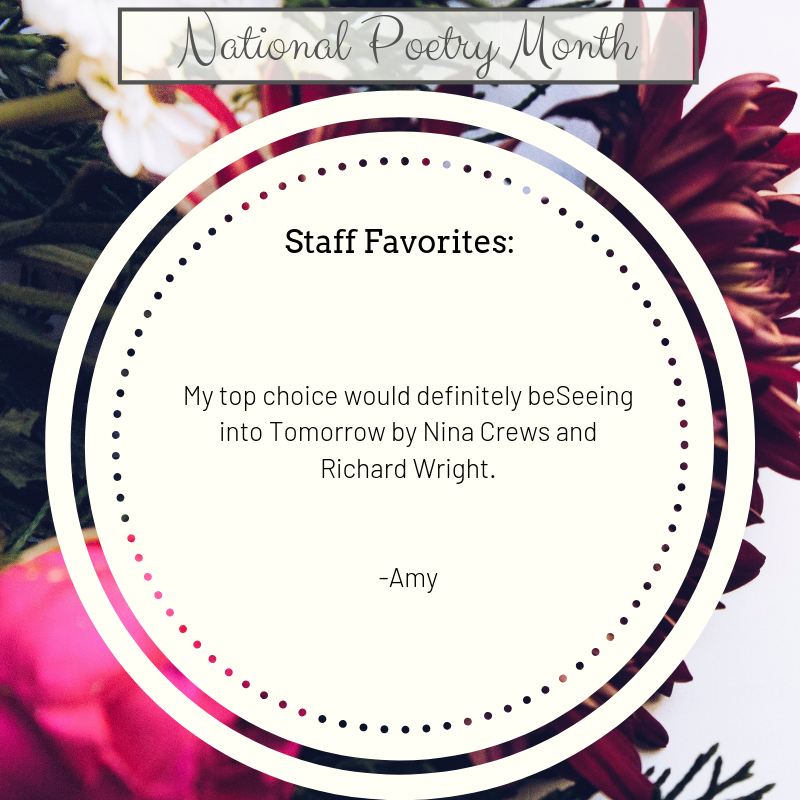 I can’t wait to share this post with my fourth graders. What a great description of the process you went through to write your story. What a fascinating journey from police beat reporter to poet–thanks for sharing! Hoping for another book of yours soon! I am a teacher (of French language) in a private middle school in Houston, Texas. Recently, my colleagues, English teachers, have introduced this poetry book to our 6th grade students. Knowing that I was a ‘boat people’ who left South Viet Nam almost 2 years after the fall of Saigon, they have asked me to tell my story to our students. Almost all the events mentioned in the book were my personal experiences. I am glad that Ms. Thanh Ha Lai has written ‘my story’ or rather ‘the story of my generation,’ even better through the eyes of a very young child. My sincere thanks and admiration for Ms. THL. 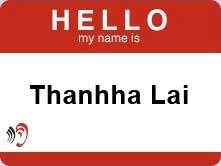 Thanhha Lai was a Guest Blogger on TeachingBooks.net website. The article provides insight on her process and craft, pictures of Vietnam as her Alabama classmates know it and as she knew it, and a picture of a papaya tree, something that she missed dearly when she left Vietnam. To visit the blog, click https://swackerle.wordpress.com/author/. Laughed and smiled through the first 3-voice Author Name Pronunciation that I've ever heard. Picture book writer @Naseemo (Naseem Hrab) reveals her name pronunciation at teachingbooks.net/qlh5ac6 Did you enjoy it too? 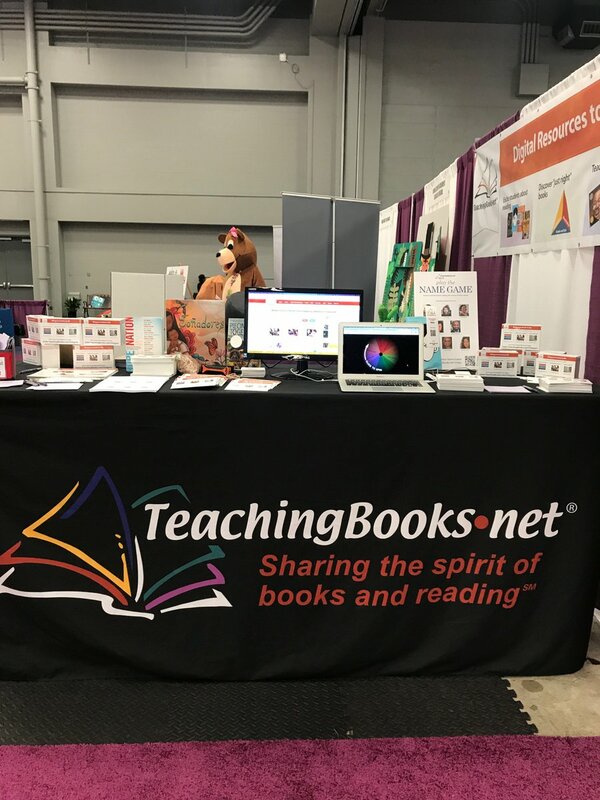 Excited to have our booth ready to go at #tla19 ! Stop by and say hi to Nick & Kym! 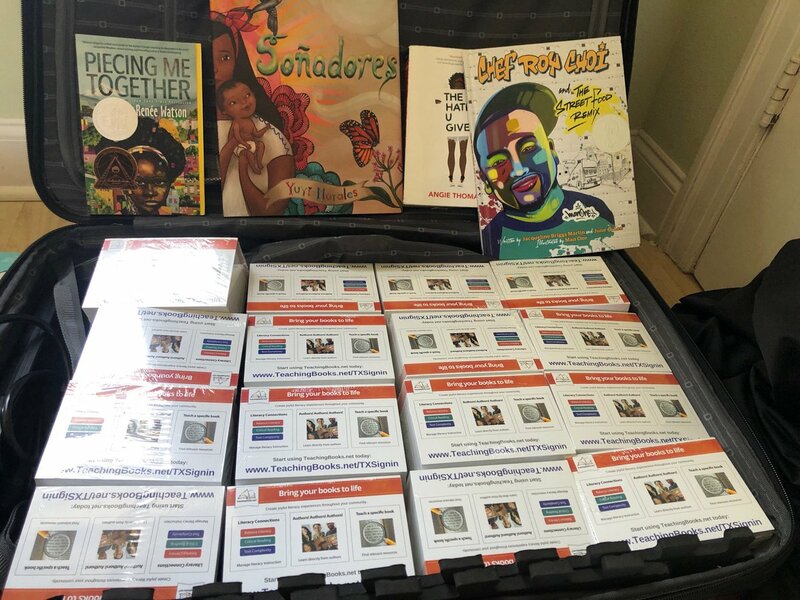 Packed and excited about #tla19. Great to be in Austin!! 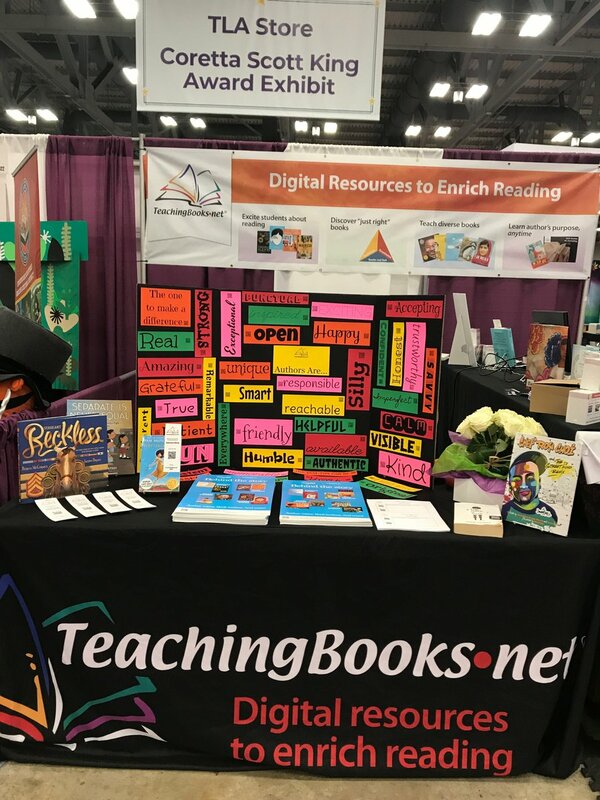 © 2019 The TeachingBooks.net Blog. All Rights Reserved.